Do you feel as though you have been dealing with feet that seem to be hot and burning most of the time? If so, you may be in need of professional burning feet syndrome treatment in Smokey Point so that you can get some much needed relief. The team at Mill Creek Foot and Ankle Clinic is filly prepare to help you to determine what may be the cause of your burning foot issue so that you can get back on your feet and enjoy all of your regular activities. For a lot of people, the cause could quite simply be due to the fact that the core temperature of the body gets raised up, much like in summertime. The body will allow a lot more blood to flow down to the feet, in which the increase in blood flow can make the feet feel as though they are hot, burning and uncomfortable. The treatment for hot feet may be dependent on the actual cause of the problem. Getting your feet checked and going over a medical history will help you to have a better understanding of what you are dealing with. Some good options are ointments and creams that have cooling properties or making sure that you bathe your feet in cooler water to get some relief. There are also a number of shock absorbing or cushioning insoles that can make it a lot more tolerable to stand and walk. Mill Creek Foot and Ankle Clinic can offer home remedies and burning feet syndrome treatment in Smokey Point. 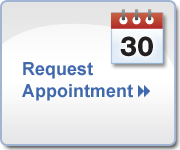 Call (425)482-6663 for advice or an appointment and we will be happy to get you in to see our team for a consultation and treatment plan.